Don’t forget the family prayer! “Watch ye therefore, and pray always, that ye may be accounted worthy to escape all these things that shall come to pass, and to stand before the Son of man.” (Luke 21:36) See day four of the Holy Week Tutorial. The text for 21 new sermon translations in PDF format was loaded to the sermon page. This includes 1 Cebuano (Malawi), 5 Emakhuwa (Mozambique), 10 Hindi (India), 1 Indonesian, 1 Malagasy, (Madagascar), 1 Ndebele (Zimbabwe), 1 Oshikwanyama (Namibia), and 1 Polish. The audio for 21 new sermon translations was loaded to the sermon page. This includes 3 Afrikaans, 2 Chichewa (Malawi), 1 Italian, 3 Lozi (Zambia), 3 Malagasy (Madagascar), 3 North Sotho (Southern Africa), 2 Oshikwanyama (Namibia), 1 Spanish, and 2 SiSwati (Swaziland). We recorded 10 sermon translations at our recording studios this week. The Cape Town studio recorded the Tswana translation of 57-0127 "The Impersonation Of Christianity", and the Tshvenda translations of 65-1127 "I Have Heard But Now I See", 65-0206 "Doors In Door", and 65-1125 "The Invisible Union..." The Durban studio recorded the Tswana translations of 65-0822M "Christ Is Revealed...", 63-0803B "Investments", 65-0822 "A Thinking Man's Filter", and 65-1125M "God's Only Provided Place Of Worship." The Italian studio recorded 54-0515 "Questions And Answers" and 64-0402 "Jehovah-Jireh." The Zambia studio recorded the Lozi translation of 63-0901E "Desperations". The Jeffersonville studio recorded the German translation of 58-1012 "The Sudden Secret Going Away..." The India studio recorded the Malayalam translations of 63-1216 "We Have See His Star...", 63-1229M "There Is A Man Here...", 63-1110E "He That Is In You", 65-0220 "God's Chosen Place Of Worship", and 65-0219 "This Day This Scripture Is Fulfilled." The photograph is Brother Caleb Varghese, Malayalam translator. Today marks one year since our loyal representative in Venezuela, Bro. Ebrain Tona, passed away. Please remember to pray for his family, as well as all those who live in that country. Times are very difficult for the Venezuelan people, and they need the prayers of the saints. The audio for 19 new sermon translations was loaded to the sermon page. This includes 3 Italian, 3 Malagasy (Madagascar), 1 Norwegian, 3 North Sotho (Southern Africa), 1 Romanian, 2 Chitonga (Zambia), and 6 Tswana (southern Africa). We recorded 14 sermon translations at our recording studios this week. The Durban studio recorded the SiSwati translations of 65-0518 "Adoption #2", 65-0515E "Adoption #1", 64-0719E "Going Beyond The Camp", 64-0410 "Scriptural Signs...", and 60-0515M "The Rejected King." The Zambia studio recorded the Lozi translations of 63-1110E "He That Is In You" and 65-0220 "God's Chosen Place Of Worship." The Cape Town studio recorded the Afrikaans translations of 57-0127 "The Impersonation Of Christianity", 57-0407E "Then Jesus Came", and the Xhosa translation of 65-1127B "Trying To Do God A Service..." The Italian studio recorded 59-0628E "Questions And Answers" and 53-0729 "Questions And Answers On Genesis." The Madagascar studio recorded the Malagasy translation of 63-0317M "God Hiding Himself In Simplicity..." The Jeffersonville studio recorded the German translations of 65-1204 "The Rapture" and 65-0221M "Marriage And Divorce." The Zimbabwe studio recorded the Swahili translation of 64-0120 "His Unfailing Words Of Promise." The photograph is Brother Andrew, Lozi translator in Zambia. The Agapao Tour will be at the Grand Hall / North Richland Hills Center (6000 Hawk Ave, North Richland Hills, TX 76180) this Saturday, April 6, starting at 10:00AM. More information can be found by scrolling down to the schedule on the Agapao Tour page. The text for 46 new sermon translations in PDF format was loaded to the sermon page. This includes 3 Afrikaans (southern Africa), 1 Chichewa (Malawi), 1 German, 1 Indonesian, 6 Italian, 2 Lozi (Zambia), 1 Malagasy (Madagascar), 3 Norwegian, 2 North Sotho (southern Africa), 2 Oshikwanyama (Namibia), 1 Polish, 1 Romanian, 1 Russian, 1 Shona (Zimbabwe), 3 Spanish, 7 Siswati (Swaziland), 1 Swedish, 1 Tagalog (Philippines), 4 Chitonga (Zambia), 2 Tswana (southern Africa), and 2 Xhosa (southern Africa). The Agapao Tour will be at the Hilton Garden Inn Live Oak Conference Center (8101 Pat Booker Rd, Live Oak, Texas, 78233) Wednesday, April 3, starting at 7:00. More information can be found by scrolling down to the schedule on the Agapao Tour page. The Agapao Tour page has been updated with pictures from last night's stop in Houston. The Agapao Tour will be at the Four Points Sheraton (18861 Katy Freeway, Houston, Texas 77094 USA) tonight, April 1, starting at 7:00. More information can be found by scrolling down to the schedule on the Agapao Tour page. The audio for 16 new sermon translations was loaded to the sermon page. This includes 1 North Sotho (southern Africa), 2 Spanish, 9 SiSwati (Swaziland), 1 Tamil (India), and 3 Chitonga (Zambia). 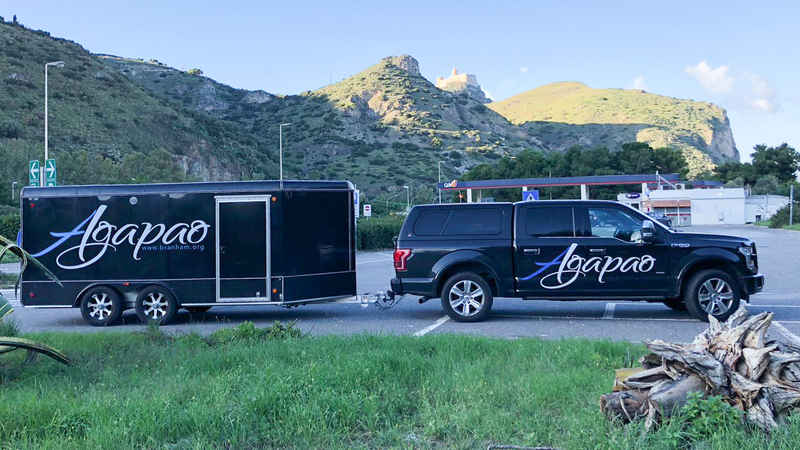 The Agapao Tour will be at The Event Center (6258 US Highway 190 West) in Jasper, TX this Saturday, March 30, from 10:00AM to 3:00PM. More information can be found by scrolling down to the schedule on the Agapao Tour page. A big week at our overseas recording studios. We recorded 19 sermon translations this week. The Durban studio recorded the Makua (Mozambique) translations of 65-0123 "Broken Cisterns", 64-0321E "The Voice Of The Sign", 65-0118 "The Seed Of Discrepancy", and 64-0629 "The Mighty God Unveiled Before Us", 64-0425B "The Godhead Explained", 64-0726E "Broken Cisterns", 64-0205 "God Is His Own Interpreter", and 63-0120M "The Voice Of God In The Last Days." The Cape Town studio recorded the Xhosa translation of 58-0927 "Why We Are Not A Denomination." The Zimbabwe studio recorded the Swahili translations of 64-0308 "The Token", 63-1222 "God's Gifts Always Find Their Places", 64-0318 "Sir, We Would See Jesus", 64-0314 "The Investments", 64-0312 "When Their Eyes Were Opened...", and 64-0122 "Looking Unto Jesus." The Italian studio recorded 56-0115 "The Junction Of Time" and 53-0405E "Witness." The India studio recorded the Tamil translations of 58-1001 "Lifting Him Up Out Of History", and 58-0406E "The Evidence Of The Resurrection." The photograph is of Bro. Prabhu, Tamil translator. The Agapao Tour page has been updated with pictures from last night's stop in Texarkana. The next stop this Saturday is Jasper, TX. The Agapao Tour will be at the Texarkana Convention Center/Hilton Garden Inn (2910 S. Cowhorn Creek Loop) this Wednesday, March 27. More information can be found by scrolling down to the schedule on the Agapao Tour page. The Agapao Tour page has been updated with pictures from last night in Hot Springs. It was a truly special time with some old friends. The Agapao Tour page has been updated with pictures from Jonesboro. A great stop to get things started for this leg of the Tour! The Agapao Tour is at the Hot Springs Embassy Suites, tonight (Monday), starting at 7:00PM. More information can be found on the Agapao Tour page. The Agapao Tour will be at the Hilton Garden Inn, Jonesboro, AR this Saturday, starting at 10:00AM. More information can be found on the Agapao Tour page. The audio for 17 new sermon translations was loaded to the sermon page. This includes 5 Lozi (Zambia), 2 Portuguese, 1 SiSwati (Swaziland), 1 Telugu (India), 5 Tsonga (southern Africa), 1 Tshivenda (southern Africa), and 2 Zulu (southern Africa). We recorded 10 sermon translations at our recording studios this week. 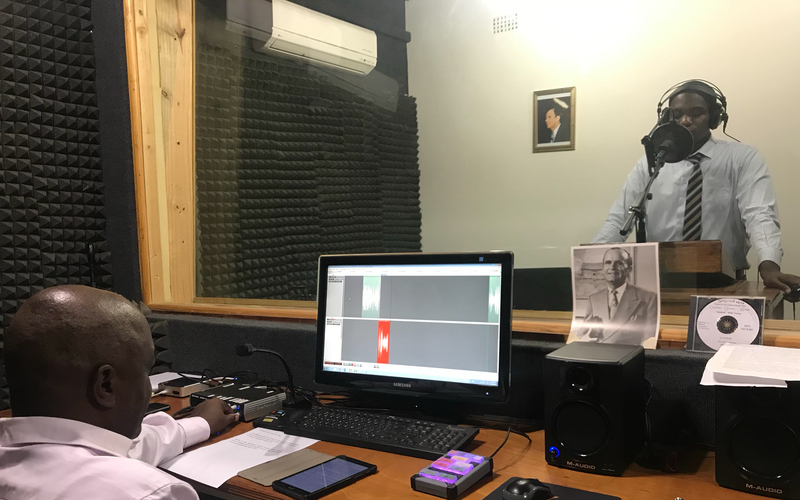 The Zimbabwe studio recorded the Swahili translations of 64-0121 "God's Word Calls For...", 64-0409 "The Identified Christ...", 64-0315 "Influence", and 64-0319 "Calling Jesus On The Scene." The Norway studio recorded the Norwegian translation 61-1119 "Perfect Strength By Perfect Weakness." The India studio recorded the Tamil translations of 58-1005M "Hear His Voice" and 58-0309E "Will The Church Go Before The Tribulation?" The Italian studio recorded 54-1219E "Acts Of The Holy Spirit", 57-0414 "Corinthians, Book Of Correction", and 63-0804 "Once More." Creations just posted a worksheet to go along with the study of “The Laodicean Church Age.” Click here to see the worksheet! The VGR office in Jeffersonville will be opening at 8:00AM and closing at 5:30PM this week. A strong Category 2 cyclone is hitting the east African country of Mozambique, putting millions of people in danger. There are also thousands of believers in the path of the storm. In 2000, a cyclone hit the same area, killing 350 people and leaving 650,000 homeless. The believers in Mozambique and southern Malawi appreciate your prayers. The audio for 20 new sermon translations was loaded to the sermon page. This includes 2 French, 4 Indonesian, 3 Italian, 1 Portuguese (Brazil, Mozambique, Angola), 1 Shona (Zimbabwe), 6 Tshivenda (southern Africa), and 3 Zulu (southern Africa. We recorded 6 sermon translations at our recording studios this week. The Italian studio recorded 57-0602 "Life" and 59-1220M "Conference With God." The Cape Town studio recorded the North Sotho translations of 58-1228 "Why Little Bethlehem" and 65-0410 "The Easter Seal." The Madagascar studio recorded the Malagasy translation of 62.1104M "Blasphemous Names." The Jeffersonville studio recorded the Spanish translation of 63-1114 "Influence." The audio for 10 new sermon translations was loaded to the sermon page. This includes 4 Afrikaans (southern Africa), 1 Indonesian, 1 Norwegian, and 4 Polish. The text for 50 new sermon translations in PDF format was loaded to the sermon page. This includes 1 Afrikaans (southern Africa), 3 Chichewa (Malawi), 3 Ewe (Ghana), 1 Indonesian, 8 Italian, 5 Malagasy (Madagascar), 3 Norwegian, 2 North Sotho (southern Africa), 4 Oshikwanyama (Namibia), 1 Portuguese (Brazil, Mozambique, Angola), 2 Romanian, 1 Shona (Zimbabwe), 1 Swahili (east Africa), 1 Tagalog (Philippines), 3 Chitonga (Zambia), 3 Tshivenda (southern Africa), 3 Tswana (southern Africa), 1 Vietnamese, and 3 Zulu (southern Africa). We recorded 19 sermon translations at our recording studios this week. The Madagascar studio recorded the Malagasy translations of 62-1111E "Why I'm Against Organized Religion" and 58-0720E "The Placing Of Deacons." The Zimbabwe studio recorded the Shona translations of 60-0925 "That Day On Calvary", 60-0229 "The Oncoming Storm", and 55-0724 "Enticing Spirits". The Zimbabwe studio also recorded the Ndebele translations of 63-0818 "The Uniting Time And Sign" and 59-0628M "A Deceived Church By The World." The Jeffersonville studio recorded the Spanish translation of 63-0421 "Victory Day." The Cape Town studio recorded the Oshikwanyama (Namibia) translations of 65-1204 "The Rapture", 65-1206 "Modern Events...", and 65-0426 "Proving His Word." The Malawi studio recorded the Chichewa translation of 63-1229 "There Is A Man Here..." The Durban studio recorded the SiSwati translations of 64-1227 "Who Do You Say This Is? ", 65-0124 "Birth Pains", 64-0417 "Then Jesus Came And Called", and 63-1229 "Look Away To Jesus." 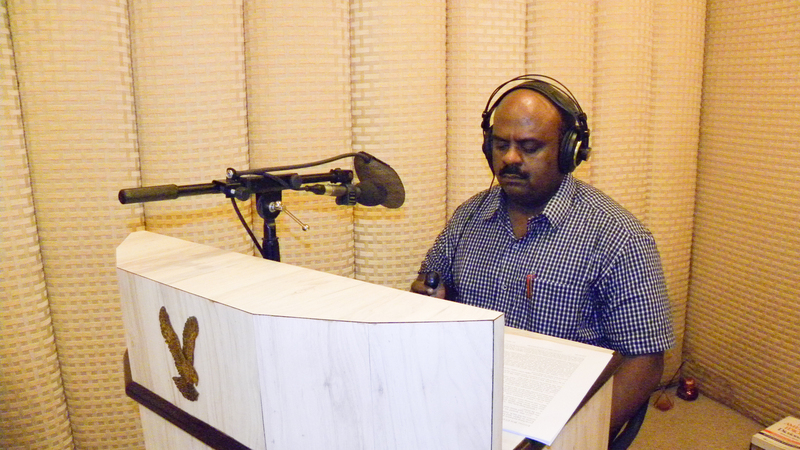 The India studio recorded the Tamil translations of 57-0414 "Corinthians, Book Of Correction" and 63-0717 "A Prisoner." The Italian studio recorded 55-0410S "My Redeemer Liveth." It happens so often: The Quote of the Day is perfectly in line with something happening today. This time, it's the QOTD sermon. People often pick the QOTD sermon as their tape for the day. On today's sermon, 65-0418M, Brother Branham goes into an explanation of the supernatural cloud and it posted on the same day of the anniversary of the cloud photo! It starts in paragraph 10 if you want to hear/read it. Creations just posted a worksheet to go along with the study of “The Philadelphian Church Age.” Click here to see the worksheet! The audio for 16 new sermon translations was loaded to the sermon page. This includes 1 French, 4 North Sotho (southern Africa), 4 Russian, 6 Tshivenda (southern Africa), and 1 Tswana (southern Africa). 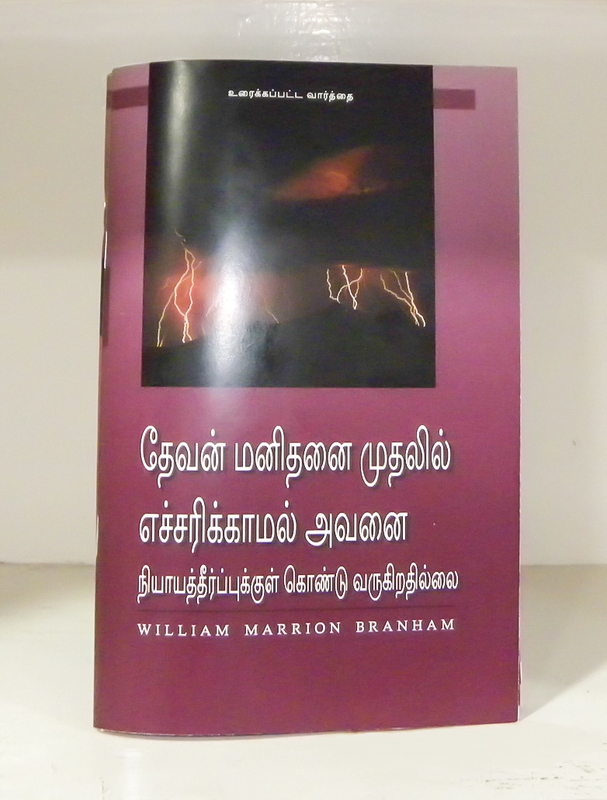 The India office finished printing the Tamil translation of 63-0724 "God Doesn't Call A Man To Judgment Without Warning Him First." It is available at the Chennai office. We recorded 15 sermon translations at our recording studios this week. The Cape Town studio recorded the South Sotho translations of 56-1125E "A Blushing Prophet" and 59-0510E "Who Is This? ", 59-0802 "Without Money And Without Price", 59-0802 "A Secondhanded Robe", 59-0329E "The Sign Of The Messiah", and 64-0407 "I Know." The Durban studio recorded the SiSiwati translations of 63-0804E "Calling Jesus On The Scene", 58-1012 "The Sudden, Secret Going Away...", 65-1031M "The Power Of Transformation", and 65-1128E "On The Wings Of A Snow-White Dove." The Zambia studio recorded the Tsonga translation of 64-0830M "Questions And Answers 3", 64-0614M "The Unveiling Of God", 65-0221E "Who Is This Melchisedec", and 64-0823E "Questions And Answers 2." The Italian studio recorded 59-0812 "Discerning The Body Of The Lord." Creations just posted a worksheet to go along with the study of “The Sardisean Church Age.” Click here to see the worksheet! The Agapao Tour will be in Las Cruces, NM this Saturday, February 16. Location is the Corbett Center Student Union on Campus at New Mexico State University. Doors open at 10:00AM and close at 3:00PM. Not only will you hear powerful testimonies of what the Lord is doing in different parts of the world through the ministry at VGR, but you will also have the opportunity to speak directly with VGR reps and ask any questions about the work. We're looking forward to a great time in Las Cruces! See updates from previous stops at this link. We recorded 9 sermon translations at our recording studios this week. The Cape Town studio recorded the Tsonga translations of 63-0818 "The Uniting Time And Sign", 65-0801E "Events Made Clear By Prophecy", 63-0825E "Perfect Faith", and 65-0822M "Christ Is Revealed In His Own Word". The Jeffersonville studio recorded the Spanish translation of 64-0620E "God Has Provided A Lamb." The Italian studio recorded 64-0617 "The Identified Christ Of All Ages." The India studio recorded the Tamil translation of 58-0720M "By Faith Moses" and 63-0717 "A Prisoner." The Zambia studio recorded the Tsonga translation of 63-0707M "The Indictment." The audio for 17 new sermon translations was loaded to the sermon page. This includes 1 Lingala (Congo), 3 Tagalog (Philippines), 1 Tamil (India), 5 Tshivenda (southern Africa), and 7 Tswana (southern Africa). Authorities say that at least six firefighters have died battling a blaze in a mountain forest in southern Chile. On a phone call, VGR Rep - Bro. Jefte Quian said that he can see the fires from his house. It is a very dangerous situation, and we ask your prayers for the many believers who live in the vicinity of these fires. The India office recently finished the printing of 3,000 copies of each of the following Telugu sermons: 60-0925 "That Day On Calvary", 64-0320 "God Identifying Himself...", 64-0213 "Then Jesus Came And Called", 65-1128E "On The Wings Of A Snow White Dove", 65-0822M "Christ Is Revealed In His Own Word", and 65-1031M "The Power Of Transformation." Click on the image to enlarge. The audio for 18 new sermon translations was loaded to the sermon page. This includes 3 Italian, 1 Malagasy (Madagascar), 3 Malayalam (India), 1 Nepali (Nepal), 4 Oshikwanyama (Namibia), 2 SiSwati (Swaziland), and 4 Tswana (southern Africa). Another great week for our overseas recording studios! We recorded 17 sermon translations this week. The Cape Town studio recorded the Oshikwanyama (Namibia) translations of 65-0427 "Does God Change His Mind? ", 64-0311 "God Is Identified...", 65-0221E "Who Is This Melchisedec? ", and 61-0120 "The Water Baptism". The Zimbabwe studio recorded the Shona translation of 61-0305 "Beyond The Curtain Of Time." The India studio recorded the Telugu translations of 60-0925 "That Day On Calvary", 64-0320 "God Identifying Himself...", 64-0213 "Then Jesus Came And Called", 65-1128E "On The Wings Of A Snow White Dove", 65-0822M "Christ Is Revealed In His Own Word", and 65-1031M "Power Of Transformation." The India studio also recorded the Tamil translation of 58-0720M "By Faith, Moses." The Durban studio recorded the Zulu translations of 63-0304 "A Absolute", 64-0112 "Shalom", 63-0118 "Spirit Of Truth", and 57-0925 "Questions and Answers on Hebrews #1." The Madagascar studio recorded the Malagasy translation of 58-0406S "I Know My Redeemer Liveth." The photo is Bro. 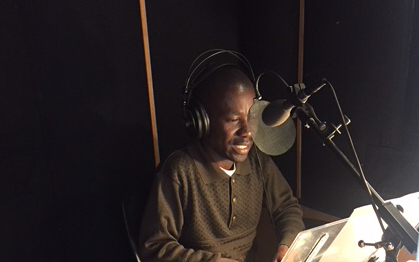 Stephen Tutani recording a Shona translation in the Zimbabwe studio. Click on the image to enlarge. We recorded 10 sermon translations at our studios this week. The Durban studio recorded the SiSwati translations of 62-0506 "Possessing All Things", 60-0308 "Discernment Of Spirit", 59-1231 "And From That Time", and 57-1222 "The Great Shining Light." The Zambia studio recorded the Lozi translation of 63-1124E "Three Kinds Of Believers." The Madagascar studio recorded the Malagasy translations of 56-1125M "A Second Handed Robe", and 64-0531 "The Oddball." The Jeffersonville studio recorded the Spanish translation of 57-0120E "God Keeps His Word." The Norway studio recorded the Norwegian translation of 63-0628M "O Lord, Just Once More." The Malawi studio recorded the Chichewa translation of 64-0620B "Who Is Jesus?". Creations just posted a worksheet to go along with the study of “The Smyrnaean Church Age.” Click here to see the worksheet! The audio for 15 new sermon translations was loaded to the sermon page. This includes 3 Chichewa (Malawi), 1 Lingala (Congo), 1 Malagasy (Madagascar), 6 North Sotho (southern Africa), 1 Romanian, 1 SiSwati (Swaziland), and 2 Xhosa (southern Africa). We recorded 11 sermon translations at our recording studios this week. The Jeffersonville studio recorded the Spanish translation of 59-1220E "Identified With Christ." The Durban studio recorded the SiSwati translations of 64-0531 "The Oddball", 59-0329S "Living, Dying, Buried, Rising, Coming", 59-0510M "Mother's Day", 56-0304 "Making A Way", 58-0406S "I Know My Redeemer Liveth", 64-0321B "He Was To Pass This Way", 59-0301E "What Does Thou Here? ", and 58-1001 "Lifting Him Up Out Of History". The Italian studio recorded 58-1005E "God Called Man." The Cape Town studio recorded the Afrikaans translation of 62-0119 "An Ensign." Today is the day! 69 years ago, the Pillar of Fire was photographed over the head of Brother Branham. Ask yourself, when has God vindicated His servant more publicly than this? Moses at the Red Sea? Elijah on Mount Carmel? Tens of millions of people have seen the Pillar of Fire picture, and it continues to testify that God sent a prophet with THUS SAITH THE LORD! What a day! Creations just posted a worksheet to go along with the study of “The Ephesian Church Age.” Click here to see the worksheet! The audio for 30 new sermon translations was loaded to the sermon page. This includes 2 Italian, 1 Lingala (Congo), 1 North Sotho (southern Africa), 4 Russian, 1 Spanish, 8 Swahili (east Africa), 3 Tagalog (Philippines), 1 Tamil (India), 4 Tsonga (southern Africa), and 5 Zulu (Southern Africa). We recorded 12 sermon translations at our recording studios this week. The Cape Town studio recorded the North Sotho translations of 63-0803 "Investments", 62-0422 "The Restoration Of The Bride Tree", and 62-1209 "Remembering The Lord". The Durban studio recorded the Tswana translations of 64-0312 "When Their Eyes Were Opened...", 64-0312B "He Was To Pass This Way", 56-1125M "A Second Handed Robe", 65-1206 "Modern Events...", 64-0411 "Spiritual Amnesia", and 64-0311 "God Is Identified..." The Jeffersonville studio recorded the Spanish translation of 59-0510E "Who Is This?" The Italian studio recorded 59-1129 "Let Us See God." The Brazil studio recorded the Portuguese translation of 63-1226 "Church Order." All is well with the brothers in Kenya. We appreciate your prayers and they are back to the Father's Business. Three brothers from our Jeffersonville office and a number of other VGR employees from Africa are in Nairobi, Kenya, nearby the location of today’s terrorist attack. The brothers are safe in their hotel, but appreciate your prayers as the situation is handled by law enforcement. We recorded 11 sermon translations at our recording studios this week. The Durban studio recorded the SiSwati translations of 63-1229M "There Is A Man That Can Turn On The Light", 59-0329E "The Sign Of The Messiah", 62-0422 "The Restoration Of The Bridetree", and 62-1007 "The Key To The Door". The Zambia studio recorded the Lozi translation of 59-0419A "My Life Story" and 63-1226 "Church Order." The Italian studio recorded 49-1225 "The Deity Of Jesus Christ." The Madagascar studio recorded the Malagasy translations of 59-0510M "Mother's Day" and 59-0329E "The Sign Of The Messiah." The Switzerland studio recorded the French translation of 61-1119 "Perfect Strength By Perfect Weakness" and 56-0408A "What Is A VIsion?" We appreciate your prayers over vacation. The batteries are charged, and we are looking forward to the work ahead. Winter break starts Friday, December 21. We will resume normal business hours on Monday, January 7. The audio for 22 new sermon translations was loaded to the sermon page. This includes 1 French, 2 Malagasy (Madagascar), 1 North Sotho (southern Africa), 6 Oshikwanyama (Namibia), 2 Shona (Zimbabwe), 1 Spanish , 1 South Sotho (southern Africa), and 4 Setswana (Southern Africa). We recorded 9 sermons at our recording studios this week. The Zambia studio recorded the Lozi translation of 64-0705 "The Masterpiece." The Cape Town studio recorded the Zulu translations of 64-0412 "A Court Trial", 64-0419 "The Trial", 64-0125 "Turn On The Light", and 65-0527 "Questions And Answers." The Italian studio recorded 60-0930 "Visions Of William Branham" and 59-1004M "Who Is This?" The India studio recorded the Telugu translations of 63-0323 "The Sixth Seal." The Jeffersonville studio recorded the Lingala (Congo) translation of 61-0813 "Faith." Creations just posted a new tutorials with products. The Prayer Ottoman easy-to-sew kit is now available for purchase! Click the link to check it out. The Android version of The Table is now available in 4 more languages! This includes Indonesian, Tshivenda (southern Africa), Ukrainian, and Vietnamese. Go to the Google Play Store to download the app, or switch languages if you already have the app installed. The audio for 10 new sermon translations was loaded to the sermon page. This includes 1 Hindi (India), 4 Malagasy (Madagascar), 4 North Sotho (southern Africa), and 1 Portuguese (Brazil, Angola, Mozambique). We recorded 12 sermon translations at our studios this week. The Durban studio recorded the Tshivenda translations of 65-0424 "One In A Million", 60-0417M "Go, Tell", 59-0802 "Without Money...", 64-0416 "And When Their Eyes Were Opened...", 59-0301E "What Does Thou Here? ", and 57-0420 "The Entombment". The Italian studio recorded 57-0623 "Believe From The Heart." The Cape Town studio recorded the Afrikaans translation of 56-0617 "Revelation, Book of Symbols." The Zambia studio recorded the Tsonga translations of 64-0726M "Recognizing Your Day...", 64-0614E "The Oddball", and 64-0823M "Questions And Answers 1". The Jeffersonville studio recorded the Lingala (Congo) translation of 59-0329S "Living, Dying..."
The Norway team would appreciate your prayers this weekend as they travel to the city of Kragerø to show "The Deep Calleth..." video in a large rented theater. They have been receiving seat reservations from the local people, so the team has high expectations for a good crowd. We recorded 17 sermons at our recording studios this week. The Switzerland studio recorded the French translations of 61-1231M "You Must Be Born Again", 63-1129 "The Super Sign", and 64-0125 "Turn On The Light." The Cape Town studio recorded the North Sotho translations of 63-0804A "Once More", 62-0211 "Oneness", 65-1127E "I Have Heard...", and 62-1104M "Blasphemous Names". The Zambia studio recorded the Tsonga translations of 64-0830E "Questions And Answers 4", 63-0818 "The Uniting Time And Sign", 64-0816 "Proving His Word", 65-0419A "My Life Story", and 60-0402 "Believest Thou This?" The Durban studio recorded the Tshivenda translations of 56-1125E "A Blushing Prophet", 64-0823E "Questions And Answers", 58-0928M "The Baptism Of The Holy Spirit", 60-0417S "I Know", and 58-0108 "Hand Writing On The Wall." We are excited to announce that we have translated TheMessage.com into Ewe! Ewe is spoken by about 7 million people in Togo and Ghana, and we have high expectations that this will have a great impact on those countries. The addition of Ewe makes TheMessage.com now available in 38 different languages! Not only does this website give a thorough introduction to Brother Branham's Message, but it also gives believers a place to go where they can download all the new translations in their language. The text for 21 new sermon translations in PDF format was loaded to the sermon page. This includes 1 Chichewa (Malawi), 1 Chitumbuka (Malawi), 1 Italian, 1 Lingala (Congo), 1 Malagasy (Madagascar), 1 Nbdele (Zimbabwe), 2 Oshikwanyama (Namibia), 1 Russian, 2 Swahili (eastern Africa), 1 Swedish, 5 Tsonga (southern Africa), 2 Tshivenda (southern Africa), and 2 Tswana (southern Africa). The audio for 19 new sermon translations was loaded to the sermon page. This includes 2 Afrikaans (southern Africa), 2 Italian , 1 Lingala (Congo), 1 Russian , 7 Telugu (India), 3 Tshvenda (southern Africa), and 3 Tswana (southern Africa). The VGR office in Jeffersonville is closed today in honor of the Thanksgiving holiday. Normal hours will resume on Monday, November 26. The audio for 15 new sermon translations was loaded to the sermon page. This includes 3 Chitumbuka (Malawi), 5 Lozi (Zambia), 2 Russian , 1 Tsonga (southern Africa), and 4 Tswana (southern Africa). We recorded 19 sermons at our studios this week. The Cape Town studio recorded the Xhosa translations of 65-0829 "Satan's Eden", 64-1227 "Who Do You Say This Is? ", and 56-0923 "Spiritual Adoption." The Zimbabwe studio recorded the Swahili translations of 64-0427 "A Trial", 64-0417 "Then Jesus Came And Called", 64-0416 "And When Their Eyes...", 64-0419 "The Trial", 64-0415 "Christ Is Identified...", and 64-0410 "Scriptural Signs..." The Durban studio recorded the Setswana translation of 57-0420 "The Entombment", 59-0329E "The Sign Of The Messiah", 59-0329S "Living, Dying...", 64-0531 "The Oddball", and 65-0120 "Lean Not..." The Malawi studio recorded the Chichewa translation of 54-0515 "Questions And Answers." The India studio recorded the Nepali translation of 65-0718E "Spiritual Food...", 59-0419A "My Life Story", and 59-0301M "Strait Is The Gate." The Jeffersonville studio recorded the Lingala translation of 56-0513 "Teaching On Moses." Part 2 of the audio upload to the sermon page: 2 Ndebele (Zimbabwe), 9 North Sotho (southern Africa), 4 Oshikwanyama (Namibia), 3 Portuguese, 4 Punjabi (India), 3 Shona (Zimbabwe), 12 Spanish, 3 South Sotho (southern Africa), 6 SiSwait (Swaziland), 4 Tagalog (Philippines), 5 Tamil (India), 4 Telugu (India), 2 Chitonga (Zambia), 2 Tsonga (southern Africa), 3 Tshivenda (southern Africa), 10 Tswana (southern Africa), 4 Urdu (Pakistan), 5 Xhosa (southern Africa), and 1 Zulu (southern Africa). As always, every upload is also immediately available on TheMessage.com for the respective language. The audio for 137 new sermon translations was loaded to the sermon page. This includes 1 Afrikaans (southern Africa), 2 Cebuano (Philippines), 4 Chichewa (Malawi), 4 Chitumbuka (Zambia), 3 Dutch (Holland), 3 French, 4 Hindi (India), 4 Indonesian, 3 Italian, 3 Lingala (Congo), 4 Lozi (Zambia), 4 Ciluba (Congo), 2 Malagasy (Madagascar), 4 Malayalam (India), 4 Marathi (India). Pt 2 of the upload has the second half of the languages. The text for 13 new sermon translations in PDF format was loaded to the sermon page. This includes 1 Cebuano (Philippines), 1 Ewe (Ghana), 2 Italian, 1 Lingala (Congo), 1 North Sotho (southern Africa), 1 Spanish, 1 SiSwati (Swaziland), 1 Swedish, 2 Tagalog (Philippines), and 2 Vietnamese. As always, every upload is also immediately available on TheMessage.com for the respective language. The Android version of The Table is now available in 12 more languages! This includes Afrikaans, Asante Twi, Bemba, Ewe, Lozi, Ndeble, Portuguese, Shona, SiSwati, Swahili, Xhosa, and Zulu. Go to the Google Play Store to download the app, or switch languages if you already have the app installed. We recorded 12 sermon translations at our recording studios this week. The Cape Town studio recorded the North Sotho translations of 64-0308 "The Token", 60-0417S "I Know", 57-0419 "The Perfection", and 57-1222 "The Great Shining Light." The Durban studio recorded the SiSwati translation of 65-0128 "Lean Not..." The Zimbabwe studio recorded the Swahili translations of 64-0411 "Spiritual Amnesia", 64-0418B "A Paradox", and 65-1128M "God's Only Provided..." The Jeffersonville studio recorded the Lingala translation of 65-0125 "This Day..." The Brazil studio recorded the Portuguese translation of 63-0818 "Uniting Time And Sign." The India studio recorded the Tamil translation of 63-0623M "Standing In The Gap." The Malawi studio recorded the Chichewa translation of 56-1125E "A Blushing Prophet." 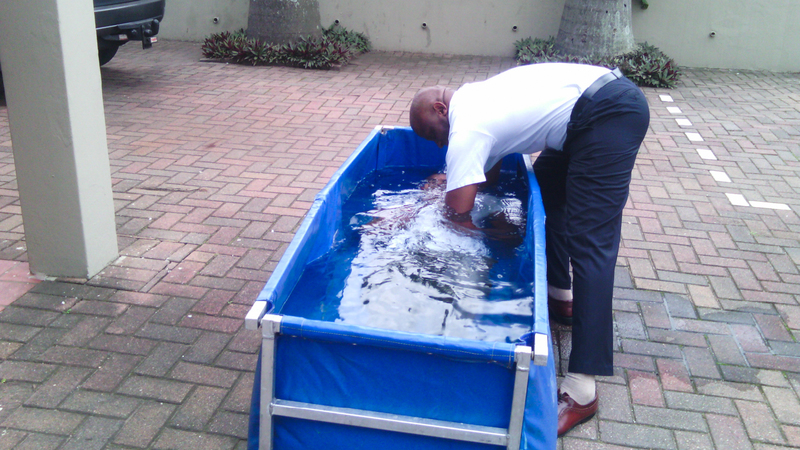 Our Durban office reports that a new sheep came into the fold and asked for baptism. Click on the image to enlarge. The text for 31 new sermon translations in PDF format was loaded to the sermon page. This includes 3 Afrikaans (southern Africa), 2 French, 1 Indonesian, 2 Italian, 1 Malagasy (Madagascar), 1 Norwegian, 2 North Sotho (southern Africa), 4 Oshikwanyama (Namibia), 1 Polish, 1 Portuguese, 1 Romanian, 2 SiSwati (Swaziland), 1 Swahili (eastern Africa), 3 Tshivenda (southern Africa), 4 Tswana (southern Africa), 1 Xhosa (southern Africa), and 1 Zulu (southern Africa). A big addition for our brothers and sisters in southern Africa! As always, every upload is also immediately available on themessage.com for the respective language. The audio for 15 new sermon translations was loaded to the sermon page. This includes 2 Afrikaans (southern Africa), 2 Italian, 5 Khemer (Cambodia), 2 North Sotho (southern Africa), 2 Oshikwanyama (Namibia), 1 Romanian, and 1 Tswana (southern Africa). We recorded 9 sermon translations at our studios this week. The Italian studio recorded 53-0405S "Go Tell..." and 62-0117 "Presuming". The Durban studio recorded the SiSwati translations of 62-1231 "The Contest", 65-1127B "Trying To Do God A Service...", and 62-1209 "Remembering The Lord". The Cape Town studio recorded the Tsonga translations of 63-0630M "The Third Exodus" and 63-0724 "God Doesn't Call A Man...". The Zimbabwe studio recorded the Shona translation of 65-0427 "Does God Change His Mind?" The Jeffersonville studio recorded the Spanish translation of 65-1031A "Leadership". The following picture is Brother Stephen Tutani of our Zimbabwe office recording in the Shona language. All the YF products from the Still Waters gift shop are now available for purchase on the YF Product Page. The audio for 8 new sermon translations was loaded to the sermon page. This includes 1 Italian, 1 Oshikwanyama (Namibia), 5 SiSwati (Swaziland), and 1 Zulu (southern Africa). The Android version of The Table is now available in 9 more languages! This includes Cebuano, Ciluba, Dutch, German, Hiligaynon, Hungarian, Lingala, Romanian, and Tagalog. Go to the Google Play Store to download the app, or switch languages if you already have the app installed. We recorded 3 sermon translations at our recording studios today. The Norway studio recorded the Norwegian translation of 62-0121E "The Marriage Of The Lamb." The India studio recorded the Telugu translation of 65-0120 "Lean Not Unto Thy Own Understanding." The Durban studio recorded the Zulu translation of 58-1002 "But From The Beginning It Was Not So." We recorded 2 sermon translations at our recording studios today. The Durban studio recorded the Zulu translation of 63-1116E "Perseverance." The Italian studio recorded 64-0418E "Jesus Keeps All His Appointments." Please pray for the believers in the path of Hurricane Michael, scheduled to hit Florida this evening. There are a handful of churches on the Florida panhandle, as well as churches farther inland that are in danger. The believers appreciate your prayers. "It's the most powerful force that God ever put in the hands of man, is a sincere prayer offered to God." We recorded 5 sermon translations at our recording studios today. The Madagascar studio recorded the Malagasy translations of 57-0908E "Hebrews, Chapter Six #2" and 57-0915M "Hebrews, Chapter Six #3." The Cape Town studio recorded the Afrikaans translation of 63-0304 "A Absolute." The Durban studio recorded the Zulu translation of 61-0827 "The Message Of Grace." The India studio recorded the Hindi translation of 63-0714M "Why Cry, Speak!" The Android version of The Table is now available in Polish on the Google Play Store. We recorded 3 sermon translations at our recording studios today, The Durban studio recorded the South Sotho translations of 57-0421S "The Great And Mighty Conqueror" and 59-0329S "Living, Dying, Buried, Rising, Coming." The Madagascar studio recorded the Malagasy translation of 57-0908M "Hebrews, Chapter Five and Six #1." Yesterday, the Madagascar studio recorded the Malagasy translation of 57-0901E "Hebrews, Chapter Four." We received word from our Indonesia office manager that the earthquake and resulting tidal wave had little to no effect on the believers in Indonesia. Most of them live far from the destruction zone. We recorded 4 sermon translations at our recording studios today. The Durban studio recorded the South Sotho translation of 64-0620E "God Has Provided A Lamb." The Cape Town studio recorded the Oshikwanyama (Namibia) translation of 59-0712 "A Total Deliverance." The Italian studio recorded 60-0301 "He Careth For You." The India studio recorded the Hindi translation of 63-0630M "The Third Exodus." We recorded 3 sermon translations at our recording studios today. The Durban studio recorded the Setswana translation of 64-0417 "The Jesus Came And Called." The Zambia studio recorded the Lozi translation of 64-0830M "Questions And Answers #3." 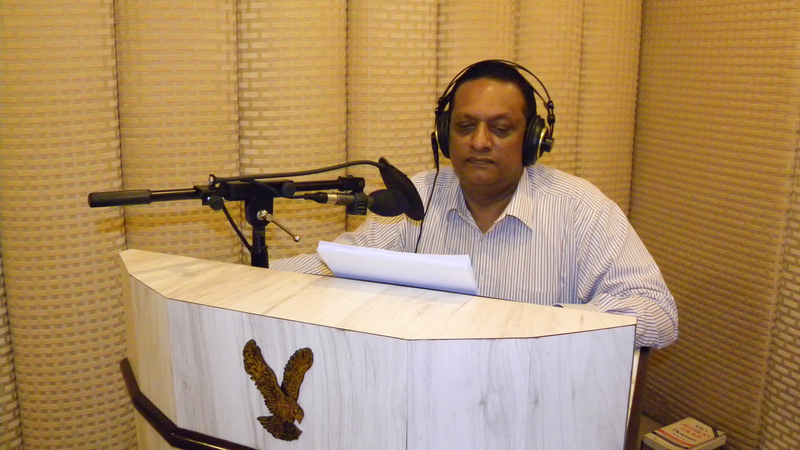 The India studio recorded the Hindi translation of 63-0116 "The Evening Messenger." Yesterday, the Durban studio recorded the Setswana translation of 65-0427 "Does God Change His Mind?" We recorded 3 sermon translations at our recording studios today. The Durban studio recorded the South Sotho translation of 55-0410M "Proof Of His Resurrection." The Cape Town studio recorded the Oshikwanyama (Namibia) translation of 64-0726M "Recognizing Your Day And Its Message." The India studio recorded the Hindi translation of 62-0909M "Countdown." Over the weekend, the Cape Town studio recorded the North Sotho translation of 59-0301E "What Does Thou Here?" and the Zambia studio recorded the Lozi translation of 64-0719M "Feast of The Trumpets." The text for 8 new sermon translations in PDF format was loaded to the sermon page. This includes 1 Oshikwanyama (Namibia), 4 South Sotho (southern Africa), 1 SiSwati (Swaziland), 1 Swedish, and 1 Vietnamese. The audio for 4 new sermon translations was loaded to the sermon page. This includes 1 Italian, 1 North Sotho (southern Africa), and 2 SiSwati (Swaziland). We recorded 5 sermon translations at our recording studios today. The Jeffersonville studio recorded the Spanish translation of 56-0603 "The Lamb's Book Of Life." The Durban studio recorded the SiSwati translation of 65-1206 "Modern Events Are Made Clear By Prophecy." The Zambia studio recorded the Lozi translation of 64-0830E "Questions And Answers #4." The India studio recorded the Hindi translation of 63-1116 "The Evening Messenger." The Cape Town studio recorded the North Sotho translation of 55-0410 "My Redeemer Liveth." The Indonesian office finished the printing of 13 sermon titles in the Indonesian language. We printed 750 copies of each of the following titles: 65-0424 "One In A Million", 60-1204M "The Revelation Of Jesus Christ", 62-1014M "The Stature Of A Perfect Man", 63-0119 "The Way Of A True Prophet", 63-0120M "The Voice Of God In These Last Days", 64-0205 "God Is His Own Interpreter", 63-0818 "The Uniting Time And Sign", 64-0213 "Then Jesus Came And Called", 56-0805 "The Church And Its Condition", 59-0301M "Strait Is The Gate", 59-0628M "A Deceived Church By The World", 64-0322 "Possessing The Gate Of The Enemy", and "The Church." "The Church" book contains three of the listed titles. We recorded 4 sermon translations at our recording studios today. The Durban studio recorded the SiSwati translation of 63-1110E "He That Is In You." The Zimbabwe studio recorded the Shona translation of 65-0220 "God's Chosen Place Of Worship." The Cape Town studio recorded the North Sotho translation of 64-0321 "He Was To Pass This Way." The India studio recorded the Hindi translation of 62-0909M "The Countdown." The Android version of The Table is now available in Finnish, Norwegian, Russian, and Swedish on the Google Play Store. We recorded 3 sermon translations at our recording studios today. The Jeffersonville studio recorded the Lingala (Congo) translation of 61-0319 "Jezebel Religion." The India studio recorded the Hindi translation of 63-0630M "The Third Exodus." The Cape Town studio recorded the North Sotho translation of 57-0420 "The Entombment." The VGR office in Jeffersonville will be closed on Monday, September 24. Normal hours will resume on Tuesday. The Norway team sent this report of their upcoming plans this Saturday: "We have rented a place downtown in the city of Skien. There we will set up the witnessing table, missionary banners, and books of Brother Branham. We are a group of 20 believers that will sing the old good Norwegian gospel songs to attract the people, and let the voice of the prophet speak in the very center of this city." Please remember to pray for our Norwegian brothers and sisters this weekend. VGR is now closed for Fall break. We will return to normal hours on Monday, September 24. We recorded 3 sermon translations at our studios today. The Zambia studio recorded the Lozi translation of 63-0818 "The Uniting Time And Sign." The Durban studio recorded the Setswana translations of 59-0510M "Mother's Day" and 61-0813 "Faith." The VGR office in Jeffersonville will be closing at noon today. We recorded 5 sermon translations at our recording studios today. The Italian studio recorded 63-1113 "The Sign Of This Time." The Zambia studio recorded the Lozi translation of 64-0719E "Going Beyond The Camp." The Durban studio recorded the Setswana translation of 59-1231 "And From That Time" and 65-0125 "This Day This Scripture Is Fulfilled." The Cape Town studio recorded the Afrikaans translation of 63-0421 "Victory Day." Brother Elie, a Durban security guard, has been going to the nearby town of Mayville for outreach. As a result, many have come for material and to be baptized. 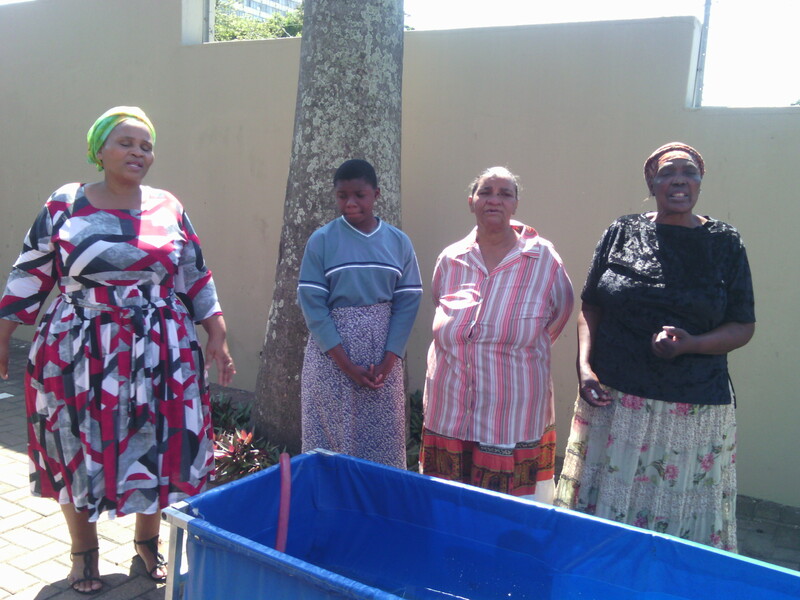 The following is a picture of a few sisters who came for baptism today. We recorded 3 sermon translations at our recording studios today. The Durban studio recorded the Setswana translations of 64-0424 "One In A Million" and 63-0601 "Come Follow Me." The Zambia studio recorded the Lozi translation of 64-0213 "Then Jesus Came And Called." We recorded 6 sermons at our recording studios today. The Durban studio recorded the Setswana translations of 63-0804A "Once More" and 62-1231 "The Contest." The Cape Town studio recorded the Afrikaans translation of 62-0120 "The Unchangeable God..." The Malawi studio recorded the Chitumbuka translation of 60-0402 "Believest Thou This?" The Italian studio recorded 63-0428 "Look." 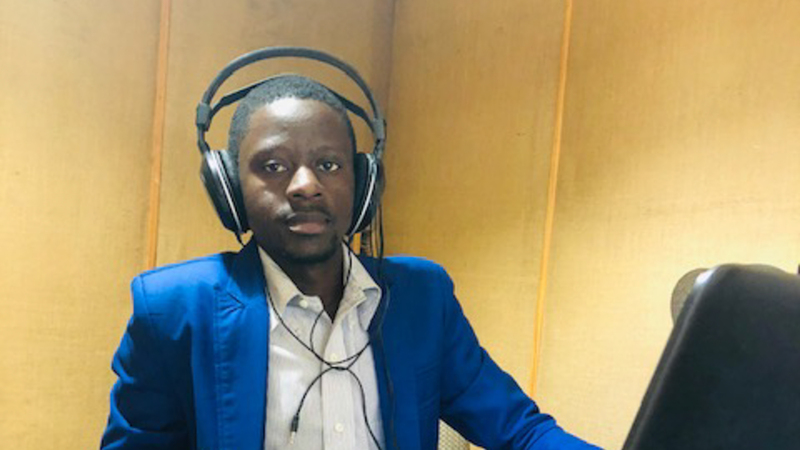 The Zambia studio recorded the Lozi translation of 64-0320 "God Identifying Himself..." Over the weekend, the Zambia studio recorded the Lozi translation of 60-0402 "Believest Thou This?" and the Malawi studio recorded the Chitumbuka translation of 58-0927 "Why We Are Not A Denomination." That's a total of 8 translations since Friday! VGR will be shutting down for our Fall break starting this Friday, Sep 14. We will return to normal hours on Monday, September 24. The audio for 7 new sermon translations was loaded to the sermon page. This includes 2 Afrikaans (southern Africa), 4 Emakhuwa, and 1 Italian. The text for 16 new sermon translations in PDF format was loaded to the sermon page. This includes 1 Cebuano (Philippines), 1 Chichewa (Malawi), 4 Emakhuwa (Mozambique), 1 German, 1 Malagasy (Madagascar), 1 Ndebele (Zimbabwe), 4 Oshikwanyama (Namibia), and 3 Siswati (Swaziland). Last week we announced that we are now recording in the Emakhuwa language (Mozambique). The audio department has already finished editing those recordings, uploaded them to the website, and they are now available for download. "Be Certain Of God", "Possessing The Gate Of The Enemy After The Trial", "A Guide", and "That Day On Calvary" can be downloaded by clicking on the title of the sermon. We recorded 2 sermon translations at our recording studios today. The Cape Town studio recorded the Xhosa translation of 60-0925 "That Day On Calvary." The Jeffersonville studio recorded the Spanish translation of 64-0618 "The Presence Of God Unrecognized." We recorded 2 sermon translations in our recording studios today. The Malawi studio recorded the Chitumbuka translation of 65-0218 "The Seed Is Not Heir With The Shuck." The Cape Town studio recorded the Xhosa translation of 64-0320 "God Identifying Himself By His Characteristics. We recorded 5 sermon translations at our recording studios today. The Italian studio recorded 63-1028 "Pardon." The Malawi studio recorded the Chitumbuka translation of 65-0919 "Thirst." The Cape Town studio recorded the Xhosa translation of 64-0213 "Then Jesus Came And Called." The Durban studio recorded the Setswana translation of 64-0417 "Then Jesus Came And Called." The India studio recorded the Telugu translation of 63-0322 "The Fifth Seal." Yesterday, the Durban studio recorded the Setswana translation of 65-0427 "Does God Change His Mind?" The Jeffersonville office will be closed on Monday, September 3 for the Labor Day holiday. We recorded 3 sermon translations at our recording studios today. The Cape Town studio recorded the North Sotho translation of 61-0305 "Beyond The Curtain Of Time." The Durban studio recorded the Emakhuwa translation of 62-1014E "A Guide." The India studio recorded the Tamil translation of 64-0411 "Spiritual Amnesia." Yesterday, the Durban studio recorded 60-0925 "That Day On Calvary." The Cape Town studio recorded the North Sotho translation of 59-1231 "And From That Time." 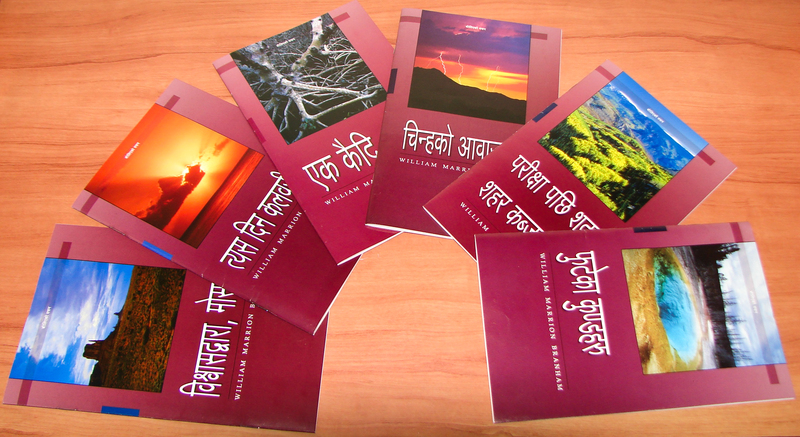 The India office recently completed the printing of 6 new Nepali sermon books. Nepali is the official language of Nepal and also commonly spoken in parts of Bhutan and India. Overall, there are about 16 million native speakers of Nepali worldwide. The recently-printed sermon titles include 64-0322 “Possessing The Gate of the Enemy After Trial”, 64-0321E “The Voice Of the Sign”, 64-0726E “Broken Cisterns” 58-0720M “By Faith, Moses”, 60-0925 “That Day On Calvary”, and 63-0717 “A Prisoner." The QOTD is always a blessing because it is the Word of God, but sometimes He gives us a little extra blessing to say, "I'm with you, and I've foreordained this work before the foundation of the world." Once again, the QOTD and the Good News article go hand-in-hand. We hope there are some families out there who will be encouraged by this little boost of faith today. The Durban recording studio recorded the Emakhuwa translation of 59-1025 "Be Certain Of God." Yesterday, our Durban studio recorded our very first audio translation in the Emakhuwa language! Emakhuwa is spoken by about 4 million people in Mozambique and is the most widely-spoken indigenous language in that country. Many Makua people hold to their traditional beliefs worshipping ancestors and nature spirits, and many in the coastal areas are muslims. We have high expectations that these new translations are going to introduce thousands of Makua people to a living Jesus Christ, bringing more precious sheep into the fold! The audio for 13 new sermon translations was loaded to the sermon page. This includes 1 Afrikaans (southern Africa), 3 Indonesian, 3 Tswana (southern Africa), and 6 Zulu (southern Africa). We recorded 4 sermon translations in our recording studios today. The Italian studio recorded 64-0308 "The Token." 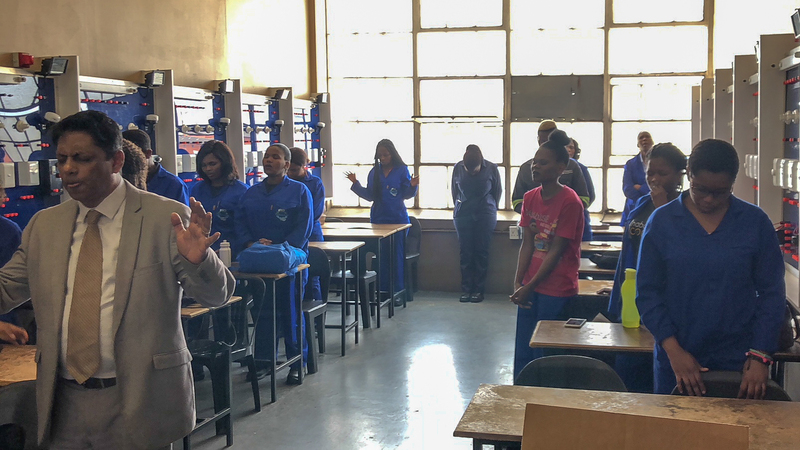 The Cape Town studio recorded the North Sotho translation of 59-0329E "The Sign Of The Messiah" and 59-0329S "Living, Dying, Buried, Rising, Coming." The Durban studio recorded the Emakhuwa translation of 64-0322 "Possessing The Gate Of The Enemy After The Trial." The audio for 24 new sermon translations was loaded to the sermon page. This includes 1 Bengali (Bangladesh), 4 German, 2 Indonesian, 1 Italian, 4 Norwegian, 2 Polish, 3 Romanian, 4 South Sotho (southern Africa), and 3 SiSwati (Swaziland). We recorded 3 sermon translations at our recording studios today. The Jeffersonville studio recorded the Shona (Zimbabwe) translation of 65-1127B "Trying To Do God A Service..." The India studio recorded the Malayalam translation of 64-0112 "Shalom." The Norway studio recorded the Norwegian translation of 62-1104M "Blasphemous Names." We recorded 4 sermon translations at our recording studios today. The Jeffersonville studio recorded the Shona (Zimbabwe) translation of 57-0417 "The Perfection." The India studio recorded the Malayalam translation of 64-0121 "God's Word Calls For..." The Cape Town studio recorded the Oshikwanyama (Namibia) translation of 65-1125 "The Invisible Union Of The Bride Of Christ." The Italian studio recorded 55-0109E "The Beginning And Ending Of The Gentile Dispensation." 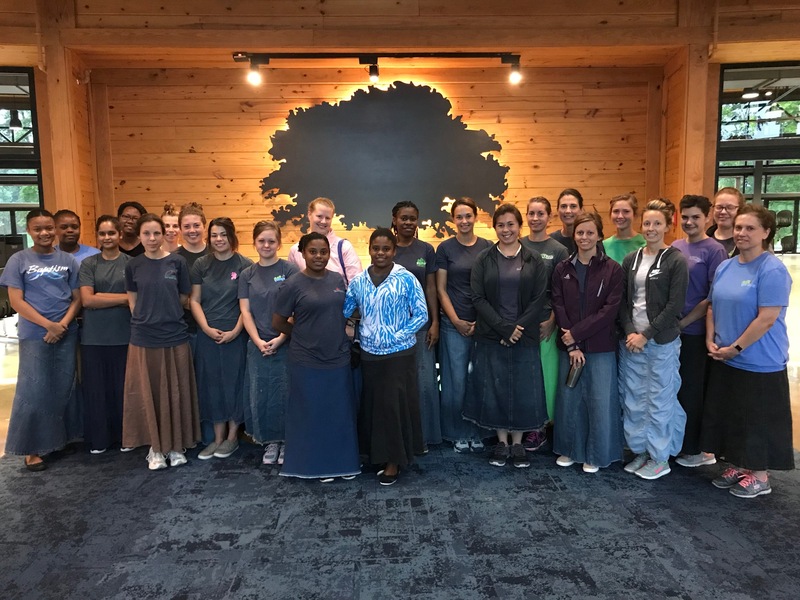 We say "thank you and may God bless you" to this special group of devoted and loyal volunteer sisters who are working at Still Waters today, cleaning the bunkhouses in preparation for Camp 5. Click on the image to enlarge.